The Liya Wall Sconce Candle Holder has hand forged iron cages that overlap to create a dramatic 3-dimensional look, finished in an aged bronze with gold highlights. Includes seven 3″ x 3″ off-white distressed candles. Available to trade professionals at Uttermost.com. 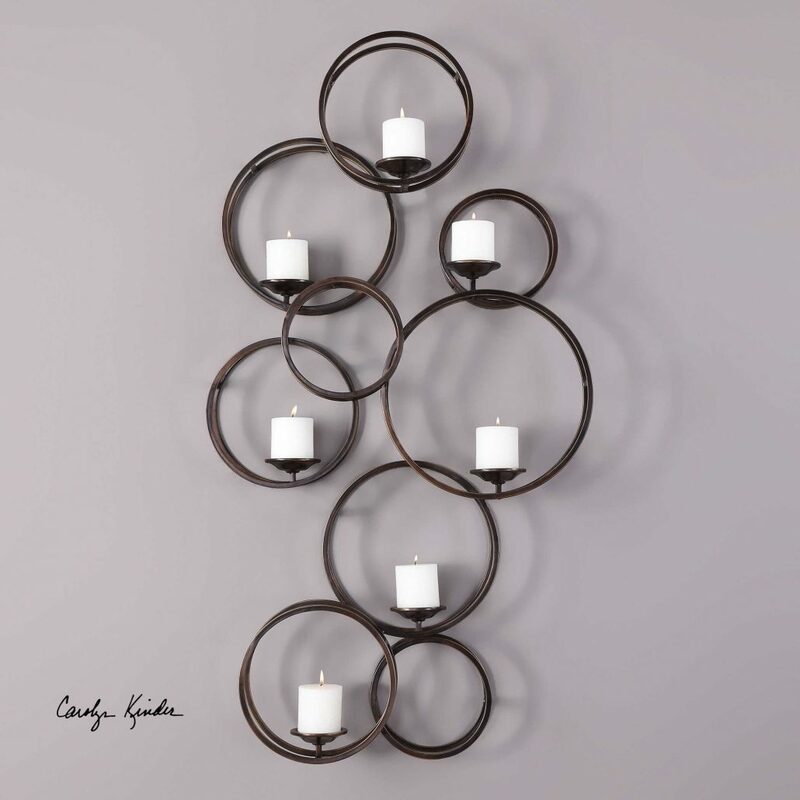 For retail purchase Google search term “Carolyn Kinder Liya Wall Sconce”.